Sure, it's still hard to resist the jerk chicken, but Brixton's got a lot more to offer in terms of culinary excellence. Join the queues in Brixton Village Market, grab a bite at Pop Brixton or check out one of the many independent cafés and restaurants bringing the area to life. Got a better idea? Share it with us in the comments below, or send us a tweet. 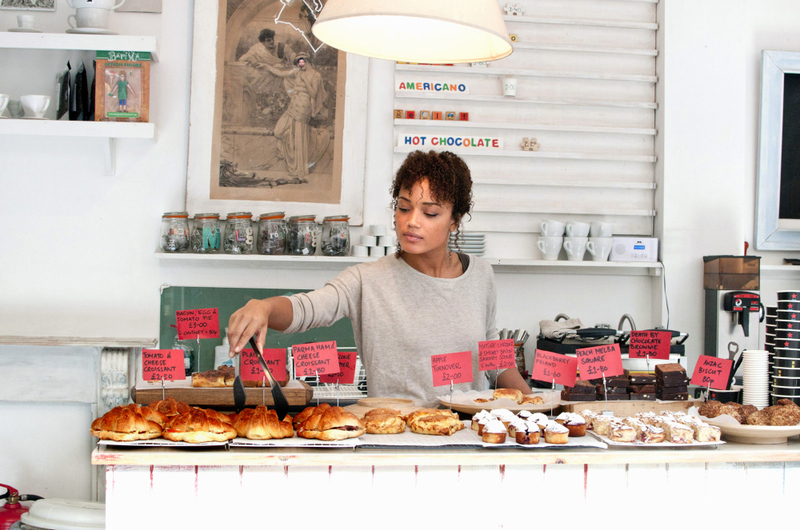 RECOMMENDED: Find more great things to do in our Brixton area guide. 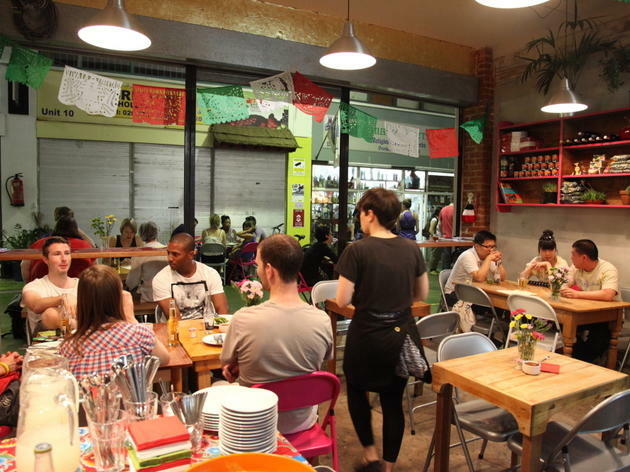 This independent pizzeria and café-bar is housed within Brixton Village Market (formerly known as the Granville Arcade). 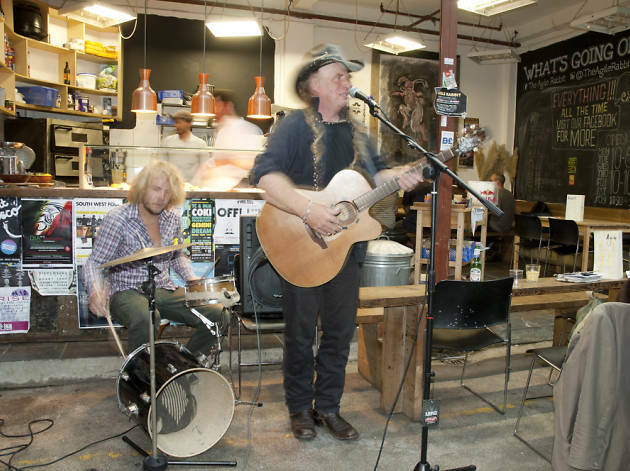 It plays host to bands on Thursday and Friday evenings. The green, hand-painted plaque inside declares Bamboula a ‘nuff niceness eatry’. 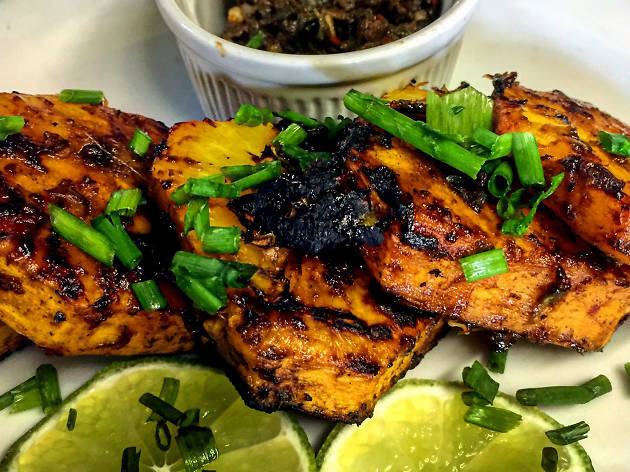 Expect home-style Jamaican cooking - curry goat, jerk chikcen, ackee and saltfish - in a green and yellow interior resembling a Montego beach shack. 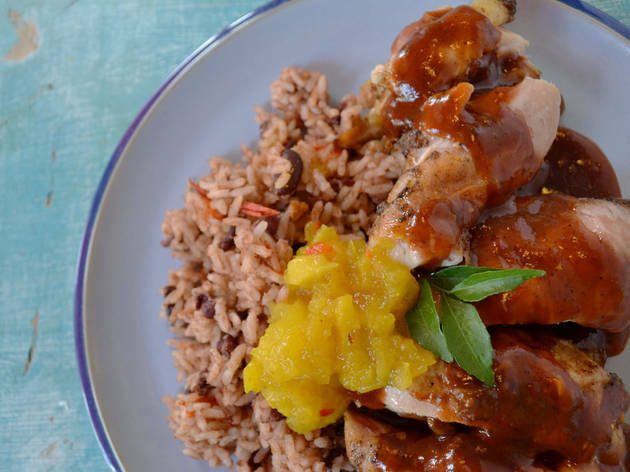 Coupled with a gentle reggae soundtrack and friendly service, Bamboula sets the perfect scene for a Caribbean feast. Setting itself apart from your average tapas joint, Boqueria offers a fresh menu that merits repeat visits. The vibe is laid-back and modern, but references to the mother country are plentiful: flamenco on the sound system, photos of Spanish market scenes on the walls, knowledgeable Spanish waiting staff and real-deal Iberian ingredients. 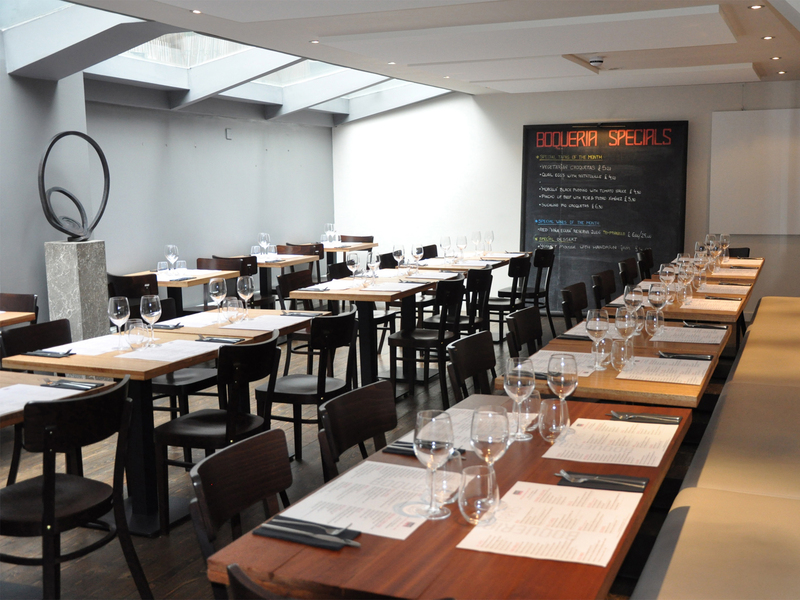 Boqueria combines the traditional and the contemporary to fine effect. It’s a good thing Casa Morita’s menu is so brief – the potent cocktails don’t do much for your reading comprehension. 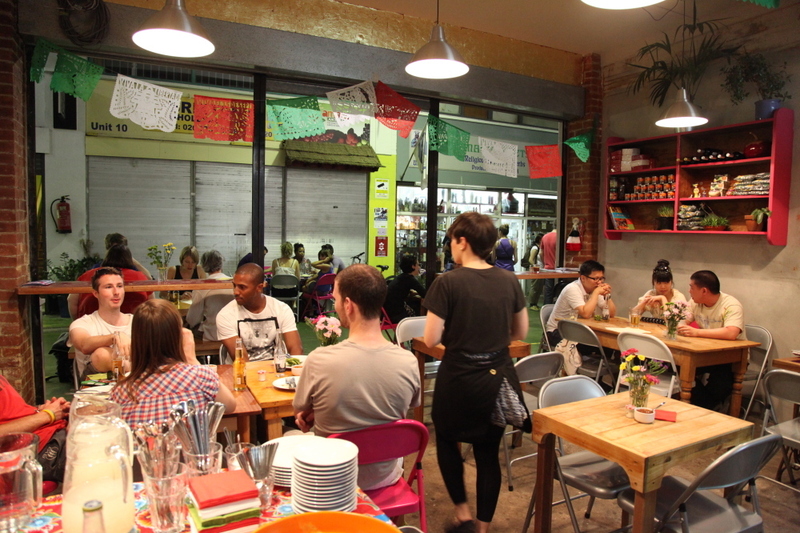 Like the food, they’re tasty and remarkably cheap (just £5 for a smoky mezcal margarita). The bargain prices suit the Village Market setting. Taco appetisers used good, chewy corn tortillas; the version with chicken mole was a little dry, but it packed a decent chocolate hit. These guys really do make a bloody good burger, with each patty going through a three-stage steaming process while sizzling away on the hot plate: first on its own, then with a layer of cheese, and finally with a bun on top. This explains why the meat is so flavoursome and juicy, yet the burgers themselves hold together without getting too sloppy. 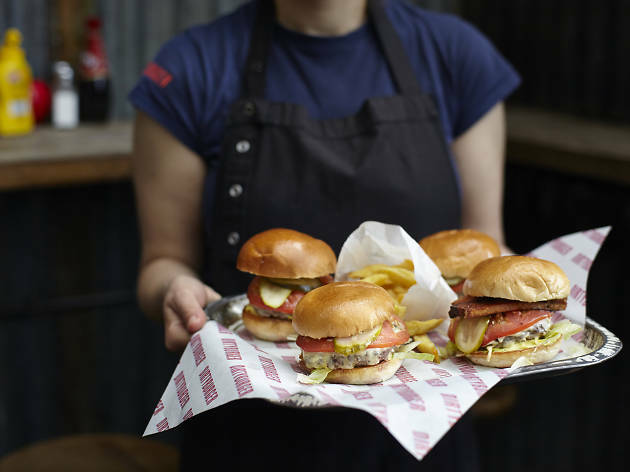 Dirty Burger is quick and it’s simple - a flipping good addition to the Brixton area. 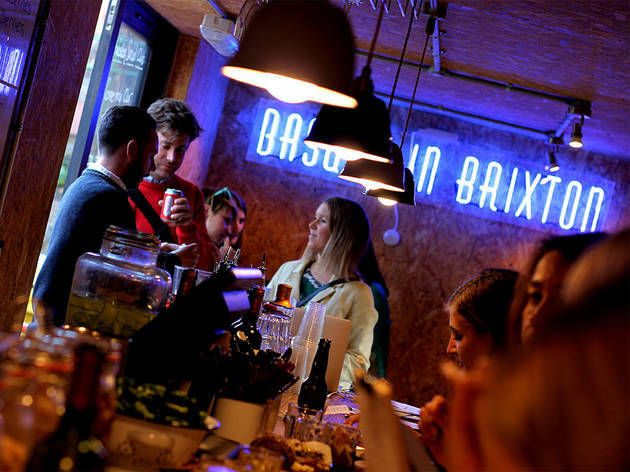 Most visitors to Pop Brixton hop between eateries until they’re too full to move on. Such crawls take place nightly in Spain’s gastronomic capital, San Sebastián (known locally as Donostia). Fitting, then, that this Basque-style tapas bar has taken up residence here. Don’t be fooled by its rough-and-ready look: Donostia’s background in street food makes it a slick outfit. Plates of food – the type that make you gesture to your companion with your mouth full – arrive without fanfare. Expect food that could hold its own in Donostia itself. 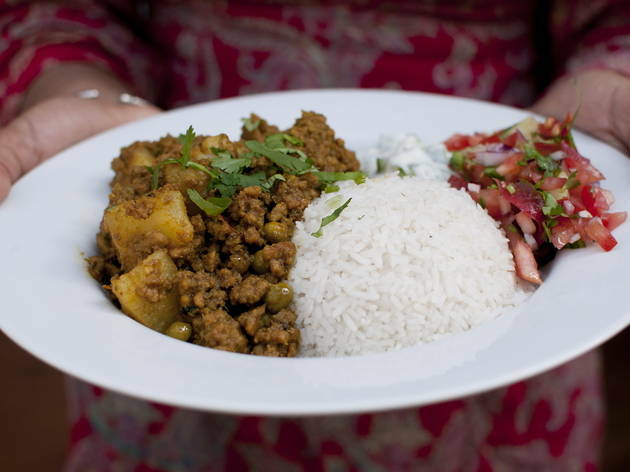 Chef-proprietor Imran Bashir set up this Pakistani café in Brixton Village Market during the summer of 2011. From a tiny kitchen a very concise menu is served: own-made samosas, curries, three types of thali (minced lamb, chicken or vegetable). The dishes are home-style, and the thalis served on a segmented stainless steel plate, in the subcontinental way. 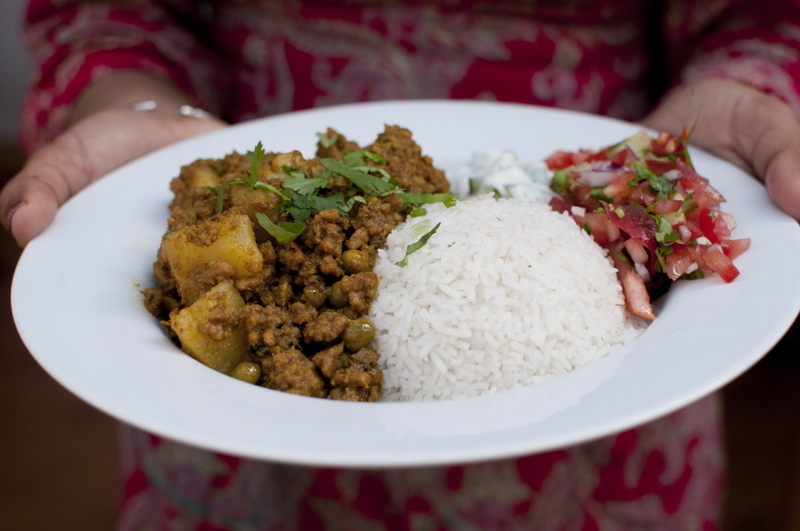 The dahl is rich and thick, the keema (mince) delicately spiced, the raita creamy. And the prices for all dishes very low. People come to this attractive corner spot inside Brixton Market’s covered arcade to work on their computers, eavesdrop, watch the world go by, or chat with friends. Grab a perch with a view on to the market if you can. 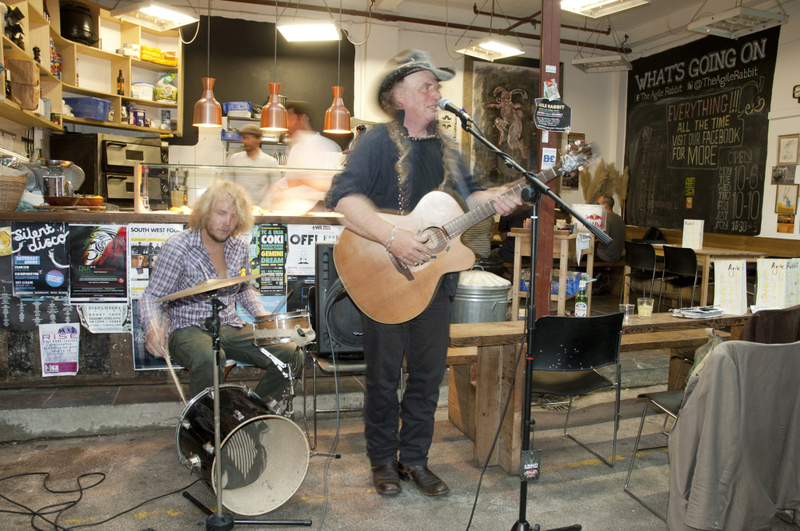 But be warned: this isn’t a spacious venue, and it’s very popular. All Federation food is made right here, with sweet and savoury baked goods to the fore. Not complicated, but not expensive. Situated on a corner spot in Granville Arcade, Fish, Wings & Tings is a great place to check out some lesser-known Caribbean treats, beyond the Jamaican norm. 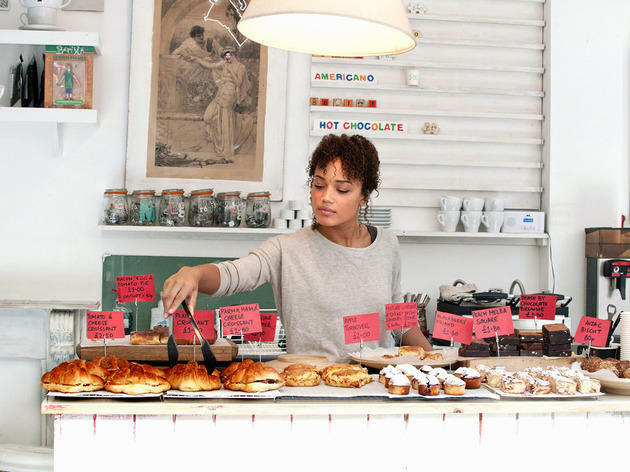 Despite its short, to-the-point menu, this laid-back café does a good job of persuading you to indulge in a little more adventurousness in the Caribbean culinary department. Trinidadian chef Brian Danclair might suggest changing your beer order from Red Stripe (Jamaican) to Carib (Trini), for instance. 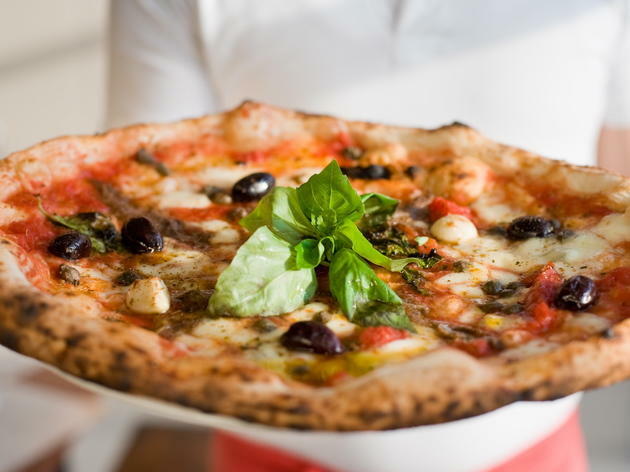 With its top-notch, UK-sourced (when possible) ingredients, speedy service, and rapid turnover, the original Brixton branch of Franco Manca remains up there with the best pizza joints in London. Both indoor and outdoor seating overlooks the bustling market arcade. 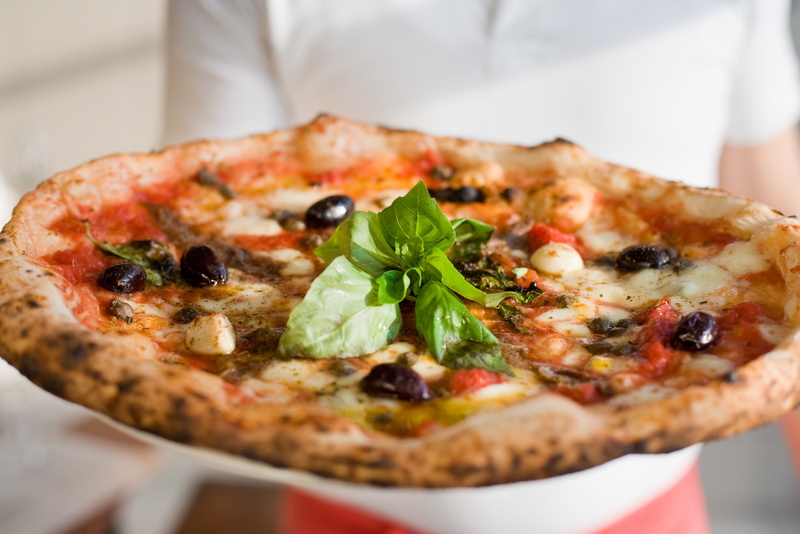 Here you can sate a craving for genuine, Neapolitan-style pizza on sourdough. 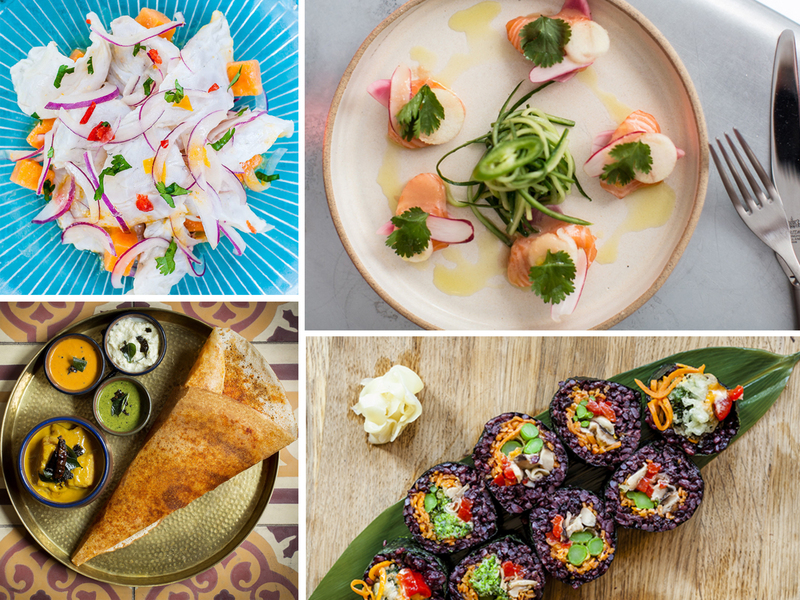 In what is surely the ultimate guide to the best restaurants in London, you’ll find it all: zeitgeist-defining celebrity haunts, the best new restaurants in London, Michelin star restaurants with starched linen napkins and restaurants serving down-to-earth cheap eats. What they all have in common is that they serve some of the best dishes in London at fair prices, with service befitting the setting. In short, if you’re looking for a great meal, you’ve come to the right place.